Absolutely! Feel free to browse my Portfolio or What Customers are Saying pages for examples of past projects. You can also read recommendations of my work on LinkedIn. I’ve sent in updates for my website – how long will it take for them to be implemented? Updates typically take a couple of days depending on the complexity of what’s been requested and current work load at the time request is sent. If it is a large project update chances are we have spoken about it already to ensure I have the info and feel for the new content. Typically updates are made on a first-come, first-served basis, but occasionally a judgment call must be made with regard to urgency. Will I be able to contact you when I need to? 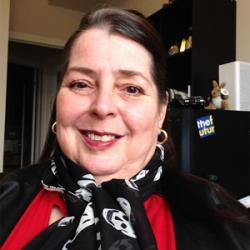 I am always available to help you, whether via email, phone or in person. We can solve most issues right away by email, and can set up times to have a phone conference or meet up in person, depending on the issue at hand and your location. AM Graphix has multiple clients and multiple projects at any given time. Since I work at home I often work odd hours. Unless otherwise arranged please keep phone calls to regular business hours and visits by appointment only. Every client is valued and will receive a response as soon as possible. What platform do you build your sites on? Every time you hire me to add or change content on your site I also check for updates and do a backup. If you do your own site changes you will need to take care of this yourself. If you prefer, I can do the technical maintenance to ensure your site is kept up to date. Let's set up a Maintenance program for you! Once your site is launched any further work/updates/changes is billed by the hour. Your new site will be built for general functionality in the browser version current AT THE TIME OF LAUNCH (Chrome, Firefox, Safari, and IE). Should future browser updates cause your site to malfunction, the normal support fee will apply for troubleshooting your site. Will my new website work on tablets and phones? All sites I have built since October 2012 have been built on responsive frameworks which means it sizes to the device viewing it. Responsive Web Design/RWD is a must today. If your site can't be viewed when your client is looking for you they will chose your competition. You are invisible. Can you take care of everything? For most of my clients I take care of it all. One call for everything, print, web, social, swag and signs. Let's team up to unify your look and message. Let's make sure your clients can find you and access your information on their devices. Care and feeding of your new website! I HIGHLY recommend that you log in to the admin of your site at least ONCE A WEEK and update all plugins needing updating, and your Joomla! version, when notified of such within your admin panel. BACK UP YOUR SITE utilizing Akeeba Backup before and after implementing any updates. By not keeping your site updated frequently, you run the significant risk of hackers and spammers gaining access to your site via out of date plugins and Joomla! versions. Should you wish to have us update your site regularly for you, we will perform necessary regular maintenance and updates for you for a fee, and will troubleshoot plugins as necessary, should their update cause issues on the site. Typical site builds include 1 year hosting and domain registration. Our support fee for troubleshooting and updating plugins, themes and Joomla! versions for you (PRIOR to you doing it yourself and possibly breaking stuff) is $75/hr 1st hour, then per 1/2 hour. This is non-negotiable. If you choose to perform these updates yourself, without taking precautions, or you’re not sure what you’re doing, and things SNAFU, we can fix any messes. There will be a charge of $100/hr for emergency service, if your site crashes or is otherwise inaccessible, for rush work. You are liable for any site damages caused by anyone you give your access information to. I DO NOT create the plugins on your site: the code and functionality is determined by open-source developers who provide their plugins via Joomla! or for sale on their own sites. At no time can we guarantee current or future functionality of plugins. 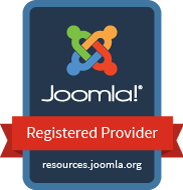 I DO NOT have control of the code or functionality for Joomla! versions. I do not build these, these are provided by Joomla.org. If a Joomla! version update is incompatible with a theme or plugin, we are not responsible for this. We will attempt to fix any errors etc but will have to work with Joomla! support to do so. This troubleshooting will incur a fee. If we need to work via your plugin or theme developer’s support, and there is a fee charged by the developer, you are responsible for that fee. You are also welcome to bypass our support and work directly with the developers on your own, but we cannot and do not guarantee their work. Should you need us to come in and ‘clean up’ any messes from other coders or developers, or your attempts to fix the site on your own, the aforementioned support fee will apply and is non-negotiable. We will discount support fees, based on circumstances of the individual situation, at our discretion. Other discounts or credits cannot be exchanged for support fees.